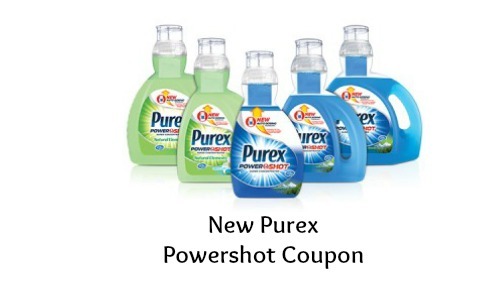 Purex just came out with its new Powershot Detergent and now there is a coupon to go with it! Save $1 off when you print this coupon and save it for an upcoming sale. Ever wonder how much detergent to pour per load? This new detergent measures the amount needed per load, just flip the container and pour! If you really like Purex laundry detergent, you can get a great deal at Publix. Find more great deals in the Publix weekly ad . This deal is good through 4/10.